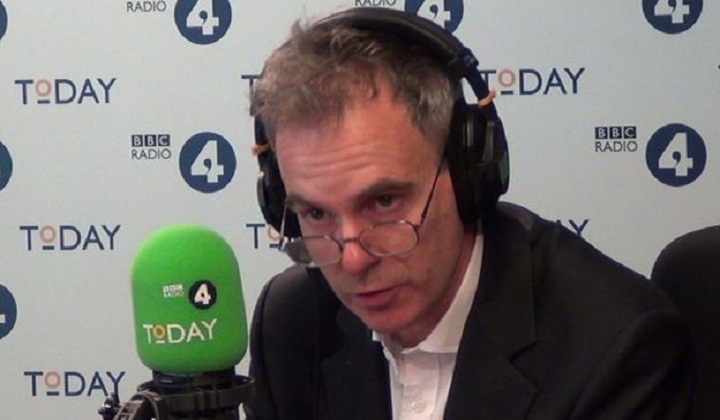 The Bank of England deputy governor, Ben Broadbent, has told the BBC's Today programme there could be a further interest rate cut this year if needed. His comments highlight the Bank of England's signal on Thursday that rates could go lower if the economy worsens. On Thursday, the Bank cut interest rates from 0.5% to 0.25% - a record low and the first cut since 2009. Asked if there was a real prospect of another cut in rates this year, Mr Broadbent replied: "Absolutely." He told Today the Bank had acted after a series of surveys since the referendum on most aspects of the economy, including employment, the housing market and business confidence, which had turned down markedly. He said that in the past, these had been reliable indicators of subsequent releases of official data. The Bank on Thursday announced the biggest cut to its growth forecasts since it started making them in 1993. It now expects the economy to grow by just 0.8% in 2017, down from its previous expectation of 2.3% forecast in May. The Bank's governor, Mark Carney, said that a majority of the nine-member Monetary Policy Committee (MPC) backed another cut if subsequent data showed the economy was deteriorating. The Bank also attempted to boost the economy, with a £100bn scheme to force banks to pass on the low interest rate to households and businesses and the purchase of £60bn of UK government bonds and £10bn of corporate bonds. These efforts have been criticised in some quarters, including from a former colleague on the Bank's interest rate-setting Monetary Policy Committee. Economist Andrew Sentance has said this is one case where a central bank can do little to offset the shock to the economy. Mr Broadbent told the programme: "I'm pretty confident it will have some effect... it is a substantial, coherent package... we have already seen mortgage rates fall." This week's MPC meeting was the last one before it moves to meeting only eight times a year, meaning that it is not scheduled to meet again until 3 November, although it can call an extra meeting before then if it wants to.